Jump into the future with the new edition of the Infinity rulebook! An impeccable look: a new cover, 232 full color pages with plenty of illustrations and pictures, background information, troop descriptions, complete army lists, complete rules, weapon charts, templates and markers. The Infinity rulebook offers all you need to play and submerge yourself in a futuristic universe of manga aesthetics and action without limits! After two years in the market, and after selling out the English and Spanish editions, now is a good time to revise the rules. Since the original publication, direct and continuous contact with the Infinity community through the official forums and other media has illuminated areas where rules can be improved and revised. Compiling opinions and impressions from the player base, the rules have been checked and polished to facilitate play without losing any of the fast-paced action Jump into the future with the new edition of the Infinity rulebook! An impeccable look: a new cover, 232 full color pages with plenty of illustrations and pictures, background information, troop descriptions, complete army lists, complete rules, weapon charts, templates and markers. 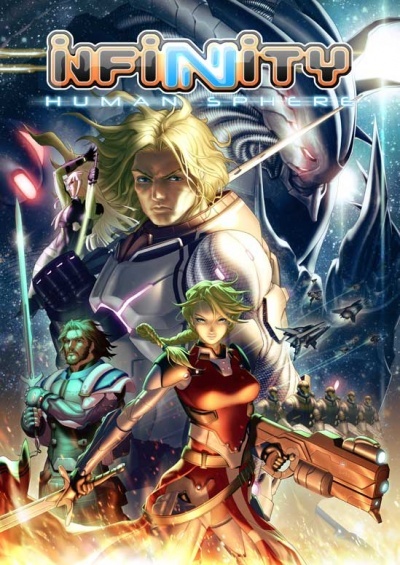 The Infinity rulebook offers all you need to play and submerge yourself in a futuristic universe of manga aesthetics and action without limits! After two years in the market, and after selling out the English and Spanish editions, now is a good time to revise the rules. Since the original publication, direct and continuous contact with the Infinity community through the official forums and other media has illuminated areas where rules can be improved and revised. Compiling opinions and impressions from the player base, the rules have been checked and polished to facilitate play without losing any of the fast-paced action. More examples have been added and some rules have been further detailed to improve clarity. So, what completely new things does this Second Edition offer? New Deployment and Initiative rules have been added, providing more strategic options for combat. Linked with these new rules, the Strategos Special Skill appears, but only for the most brilliant minds of the Human Sphere. A new kind of ammunition, the Double Action (DA) Special Ammunition, which enhances MULTI weapons. A new weapon for Forward Observers, the Flash Pulse. New rules for the different Visibility Zones, and for Multispectral Visors and the Sixth Sense Special Skill. The army lists have been revised as well. The SWC (Support Weapons Cost) of some troops has been adjusted to balance their game role. The Cost of some troops has been modified, while others get new weapon and equipment options. Infinity - Human Sphere is the first expansion for the Infinity universe. In this new, hard cover and full color book you will find more background information, a new faction for the AI Aleph, new troops for all armies and new rules, special skills, equipment and weapons. Infinity. 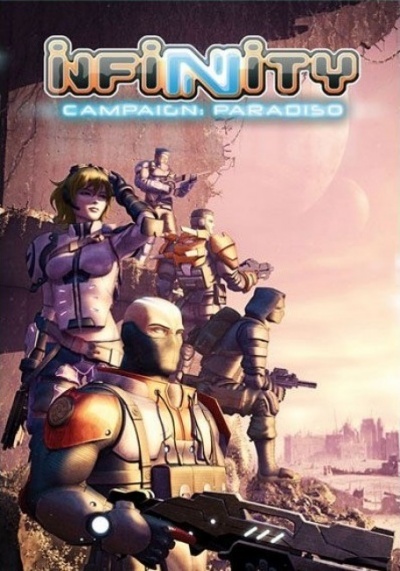 Campaign: Paradiso delves into the history of the Infinity universe, revealing ancient secrets and dark conspiracies that shed new light on past events, changing the present of the game and opening new pathways to the future. Nothing will be the same! More background and information about all the Powers in Infinity, as well as a new one: the Tohaa, with photos and illustrations in full color. An exhaustive and complete Campaign Rulesystem, with rules to play scenarios and structure them into your own campaigns. Experience Rules for your campaigns, with Command Experience which will allow you to enhance your game possibilities, and Spec-Ops Experience, which will allow you to customize and upgrade your own special operative. A total of 16 different missions, each with its own special rules which will allow you to play Infinity in a completely new and different way. 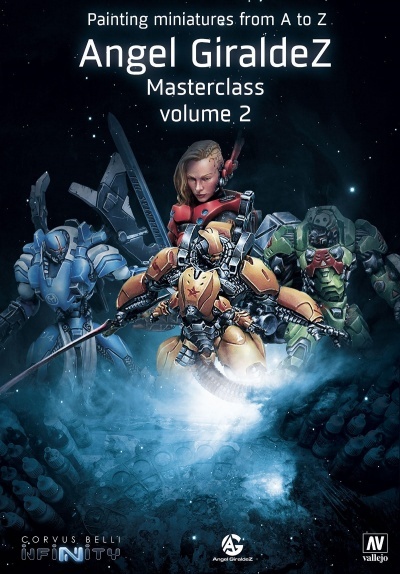 An expansion of the Infinity basic rules, with new rules, Special Skills and Equipment never seen before. In addition, army lists are provided with new troops for all the factions involved, as well as new weapon charts, markers and templates, all to enhance the Infinity gaming experience. Everything compiled in a book of 220 full color pages and hardcover. Connect now and lead your elite force through daring special operations in the most intense and dangerous combat areas of the Paradiso system! It is 175 years in the future, and humanity has colonized a number of star systems. Despite ostensible peace and prosperity, the world powers still launch covert operations in secret wars waged for control over the Human sphere. 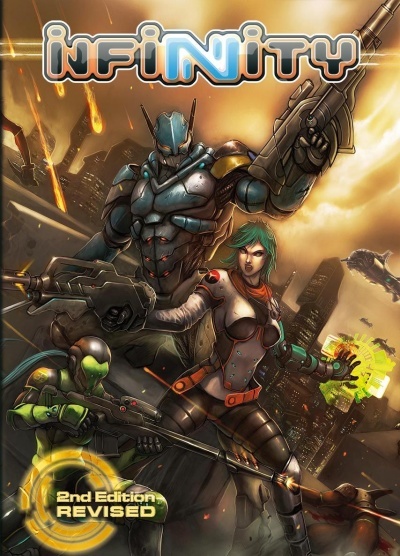 Infinity is a 28mm metal miniatures game simulating special operations and skirmishes in a high technology sci-fi universe; an exciting and action-packed near-future where secret missions, black ops, and covert actions determine the destiny of humankind. Infinity boasts innovative and dynamic rules that keep both players engaged and participating throughout the entire game sequence. 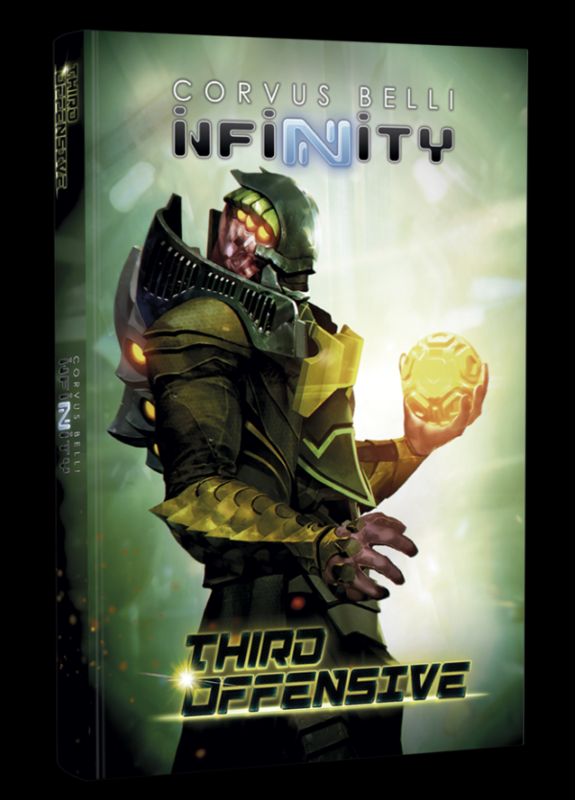 With improved, streamlined rules, new troops, and more background to set the scene, Infinity 3rd Edition is the same game, but better! 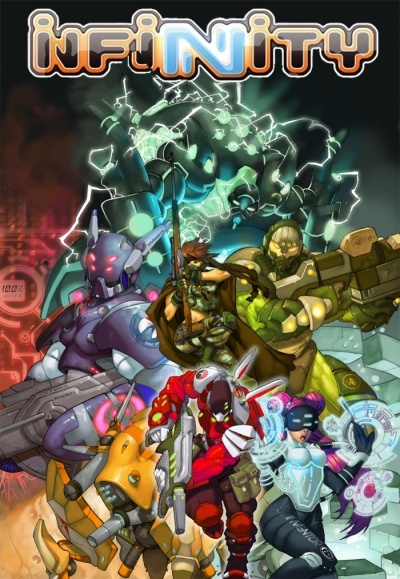 This new edition to the English version of Human Sphere is a full color compilation book that updates its ruleset to Infinity N3, adding new rules, special skills, weapons and equipment. It also has background and army lists of complete and expanded Sectorial Armies, including the Steel Phalanx of ALEPH and the Tohaa army list. 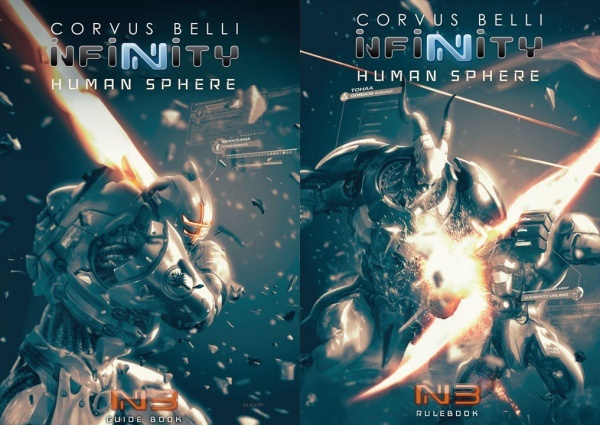 Human Sphere brings a new dimension to Infinity N3, and is essential for diving into the Infinity universe and developing the tactical capabilities of every player. 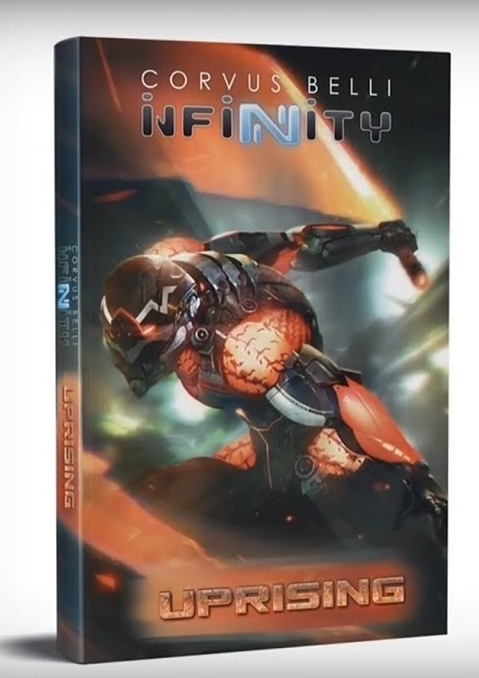 “Infinity Uprising” is the upcoming new Infinity wargame book that will expand on the Sectorial Army range with the addition of the Non-Aligned Armies (NA2). A book that will develop the narrative of the Infinity Universe through this coming year of 2018. The story told will carry tremendous implications for the status quo of the Human Sphere factions. This book covers the events that took place on the planet of Paradiso and makes clear that the alien threat is becoming very tangible and real. The Combined Army is not going to surrender, and Paradiso is only a bump on the road towards conquering the entire Human Sphere. In terms of where it lands within the Infinity narrative, it takes place directly after the events of Campaign Paradiso. 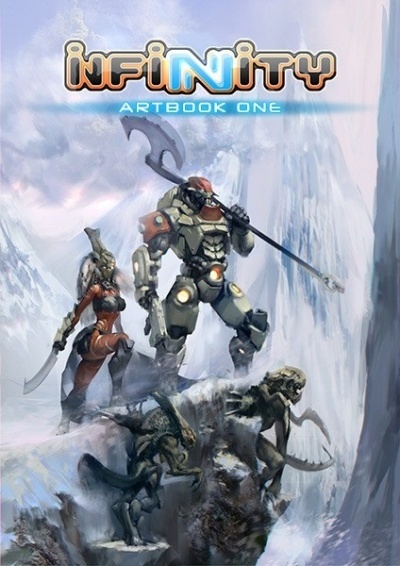 The Infinity Artbook One explores the design process of an assortment of troops from each of the armies of Infinity, from the highly technological PanOceania and Yu Jing to the alien Combined Army and their rivals the Tohaa, to the contemporary military aesthetics of Ariadnan retrofuturism. 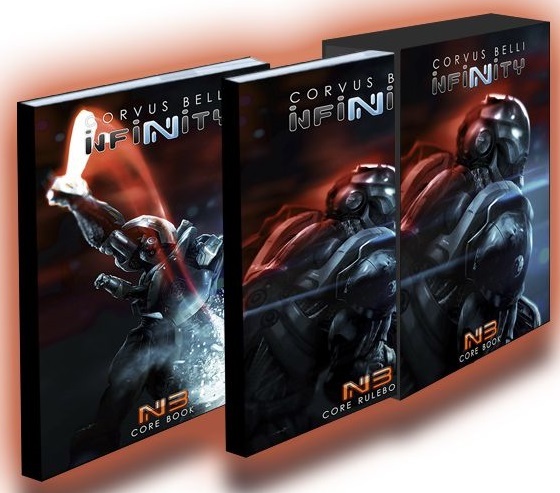 This book will take you through the creation of the units of Infinity by way of a selection of concept art and breathtaking full-page, full-color illustrations. Uniforms, armor suits, T.A.G.s, equipment, weapons and gadgets displayed for you to discover Infinity and delve into its extraordinary futuristic universe. The Infinity Artbook One, a thrilling visual experience that will take you to the future. Ángel has matured as an artist within Corvus Belli, and his tireless work has earned him a place among the foremost professional miniature painters in the world. 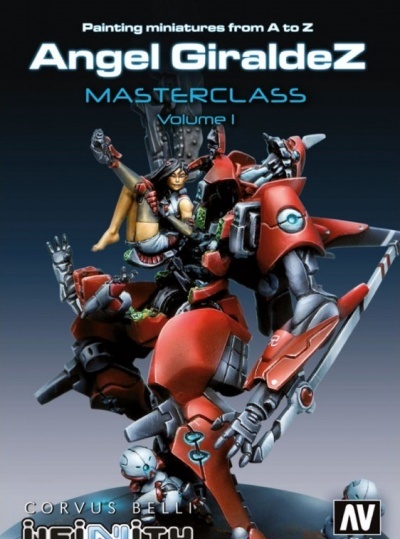 This manual describes, in meticulously detailed step-by-step tutorials accompanied by hundreds of full-color pictures, how Ángel applies his technique to some truly extraordinary Infinity pieces. Across the vast reaches, we grew strong. We bridged the gaps between stars. We mastered technology, unlocked the secrets of mind and body. Welcome to the Infinity Universe. Retired sniper Knauf believes his days as a pawn in the grand game of intrigue are behind him. But an ambitious officer, Emily Handelman, is about to show up at his doorstep to enroll him in an operation where nothing is what it seems. In his hands are now not only state secrets and the lives of Human Sphere citizens, but the blood prize of his own identity. His varied career as an author and illustrator in the European and American markets includes the series Witch & Wizard, The Mice Templar, Marvel Axis, and the graphic novel Filthy Rich. His graphic novel trilogy Polar, published by Dark Horse Comics, was nominated for the prestigious American Harvey award and is currently being adapted for the big screen by Constantin Films. Among his many projects after working for Disney as an illustrator, the following stand out: El Cazador de Rayos; Barcelona; Le Mystère Nemo, for the French editorial Delcourt; Malefic: Soum, a manga that explores Luis Royo’s Malefic Universe; and Dos Espadas, an awarded young adult manga. 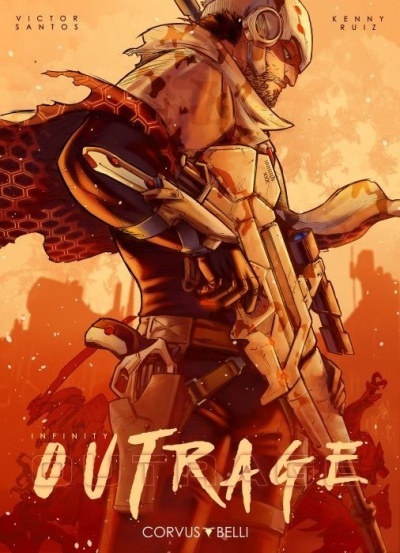 Presented in a limited edition case containing the manga and a miniature of Knauf, the protagonist of Infinity: Outrage.